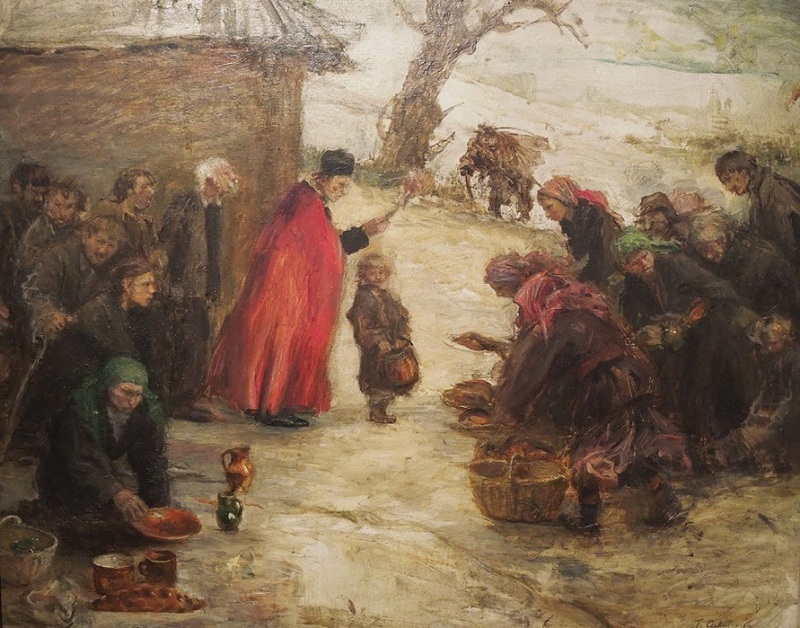 Teodor Axentowicz (1859-1938), a renowned Polish-Armenian painter and the first elected rector of the Academy of Fine Arts in Krakow, was born in Braşov, Hungary (now Romania). 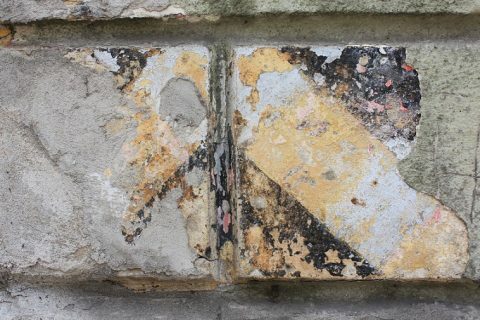 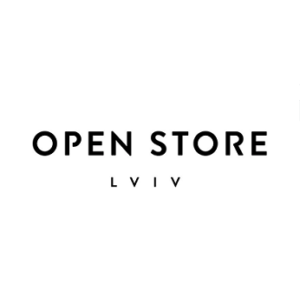 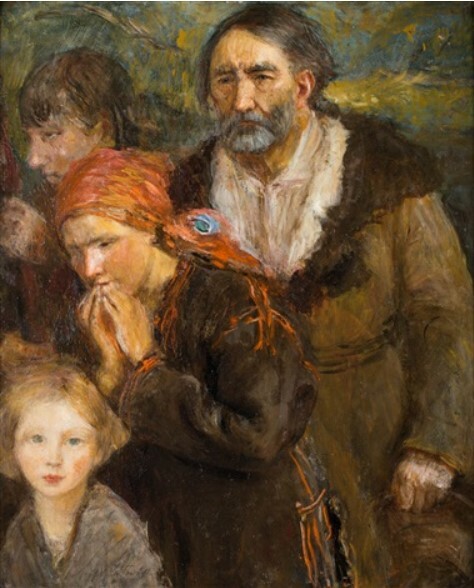 His father’s family had Armenian roots and owned a small property in Ceniów, near Brody. 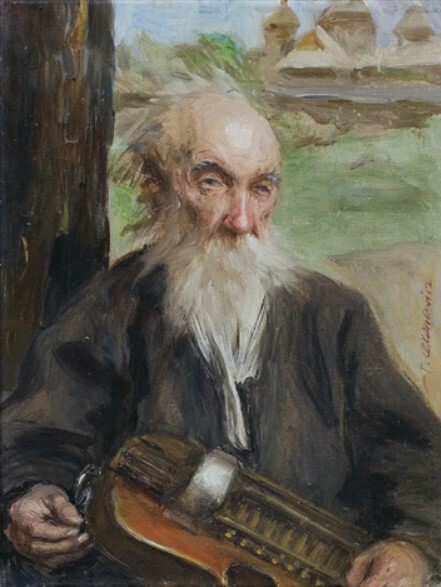 Axentowicz grew up in Lviv and after finishing high school he spent four years (1878-1882) studying art at the Munich Academy of Fine Arts. 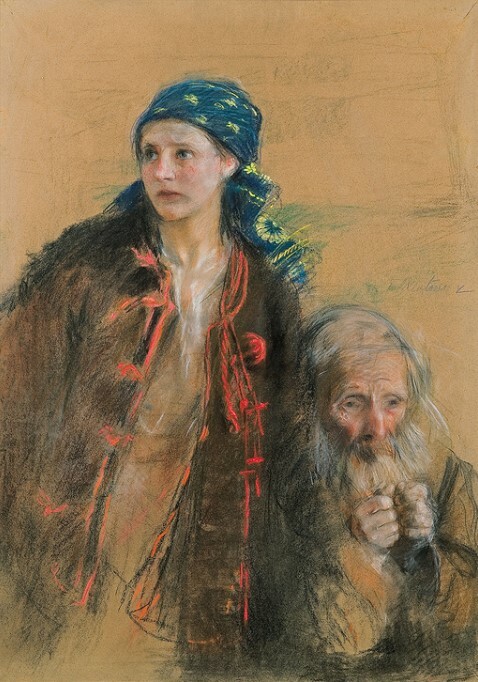 In 1882, he moved to Paris and continued his artistic studies at the studio of Carolus-Duran. 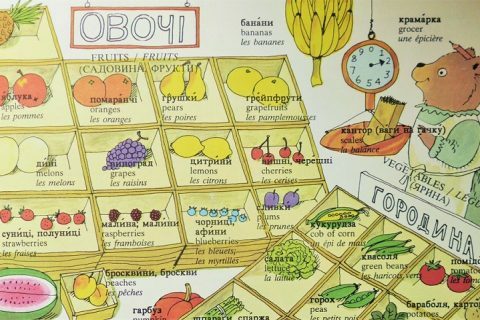 He became an illustrator for Le Monde Illustre, L’Illustration, and Figaro. 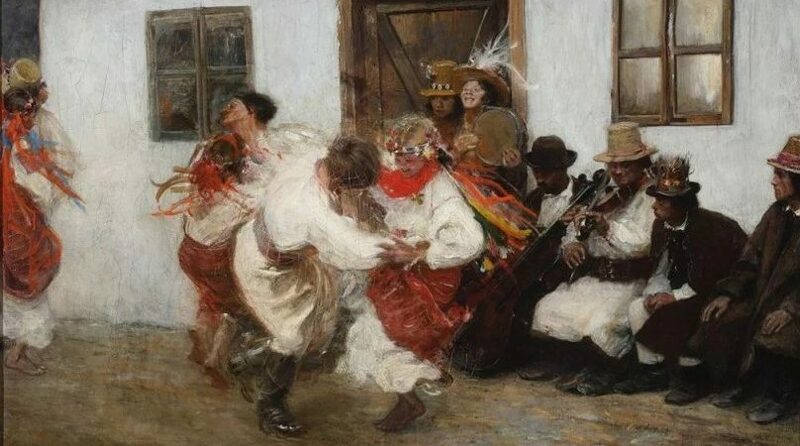 In 1895, Axentowicz moved to Krakow, where until 1934 he was professor at the Academy of Fine Arts. 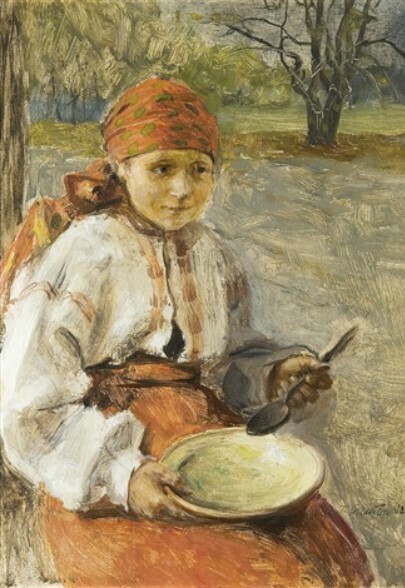 In 1898 he founded a school of painting for women. 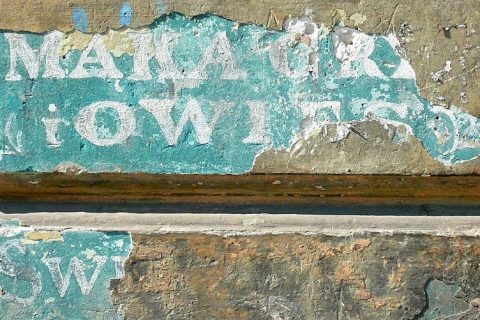 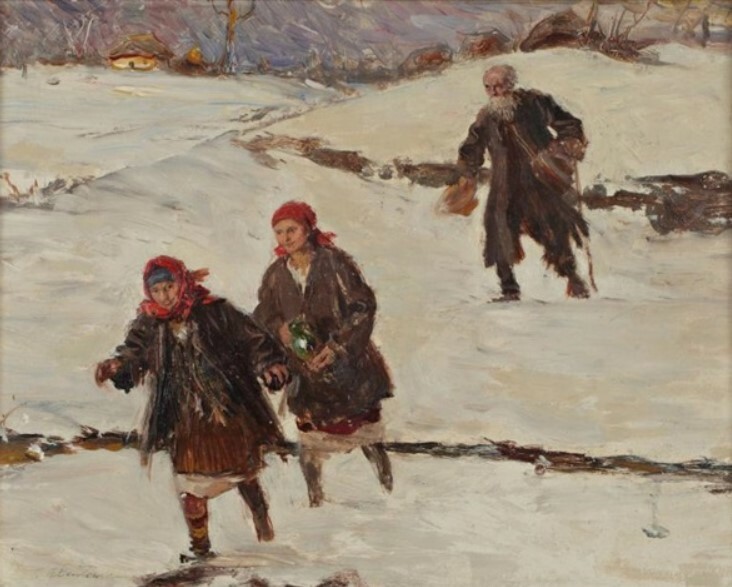 A founding member of the Sztuka Society of Polish Artists, Axentowicz took part in all of its domestic and foreign exhibitions. 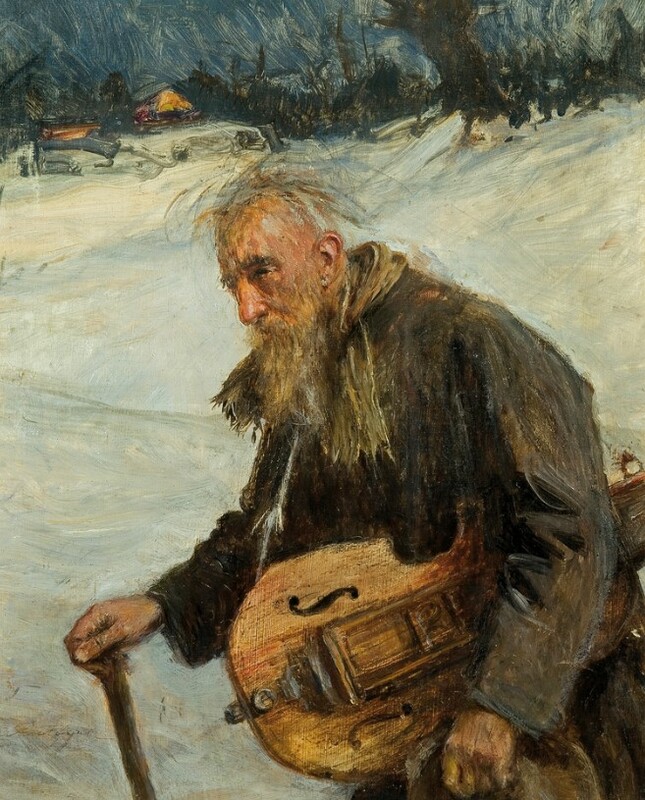 He was also a member of the Vienna Secession and contributed to its journal Ver Sacrum. 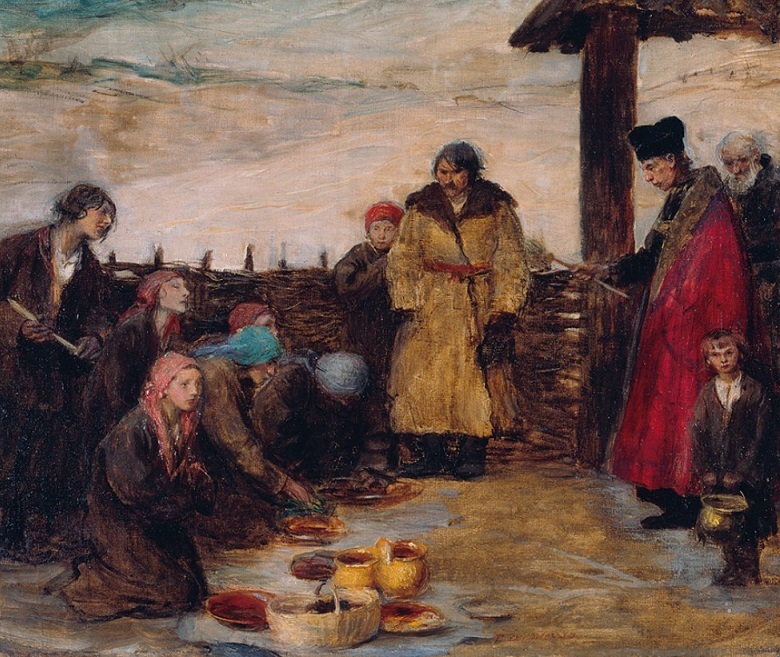 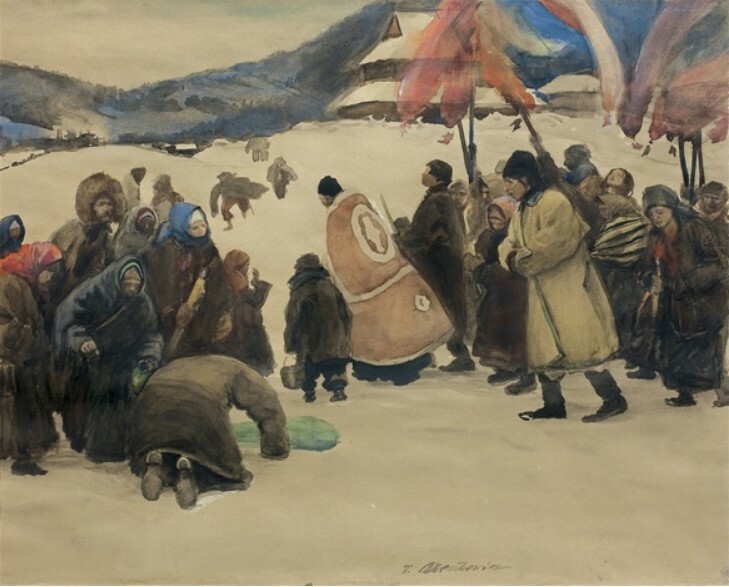 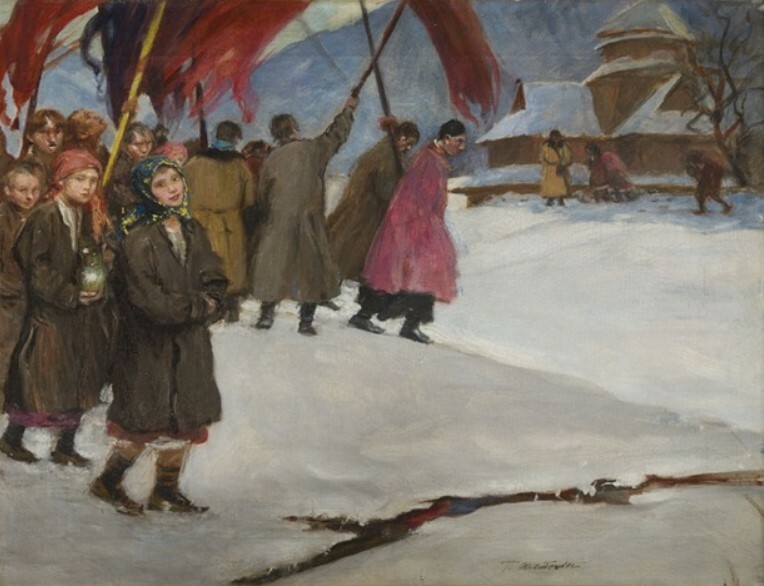 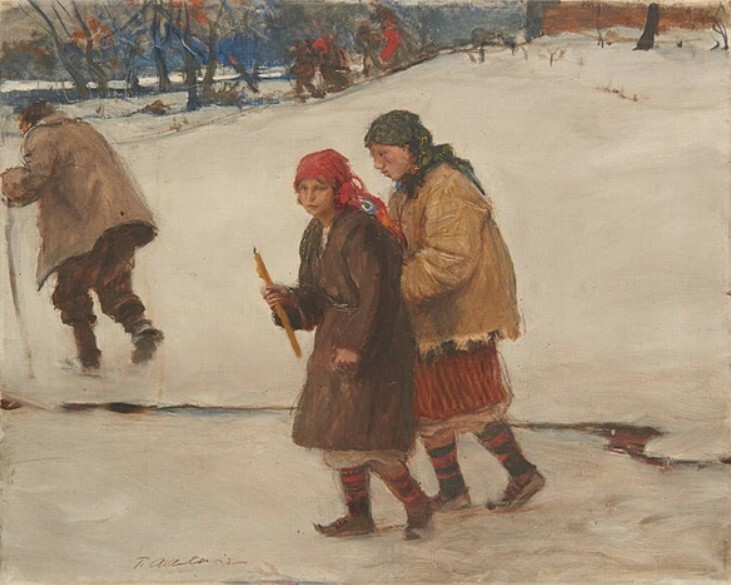 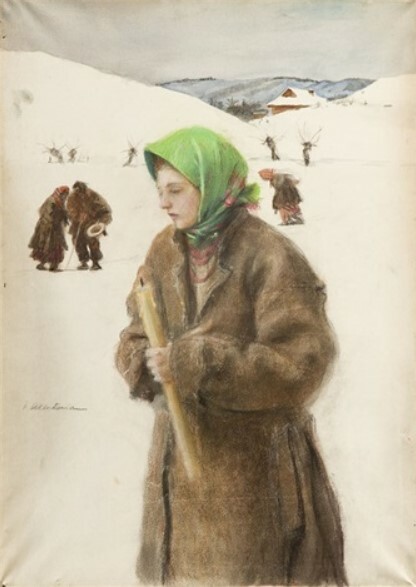 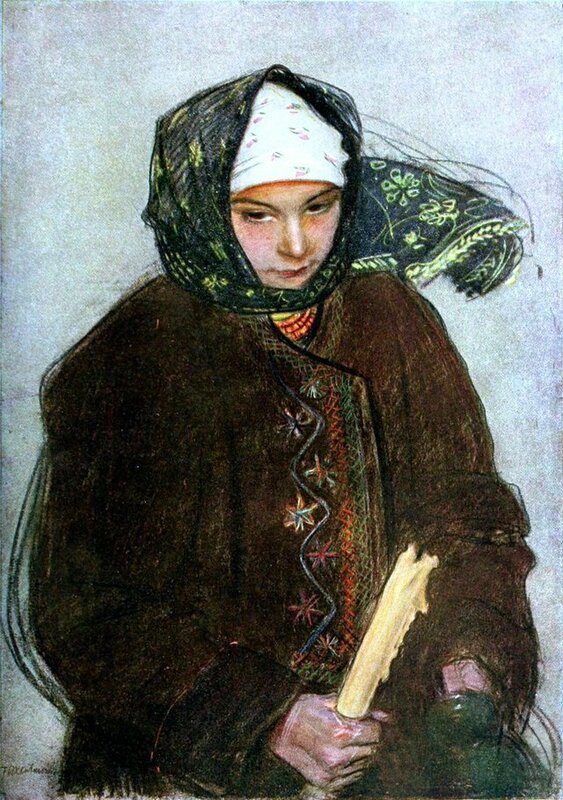 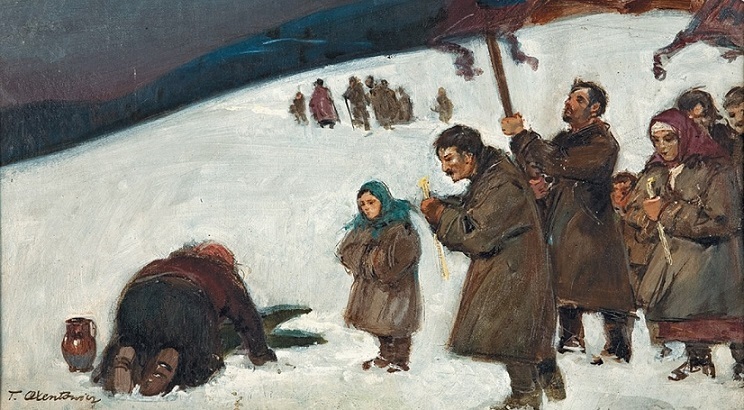 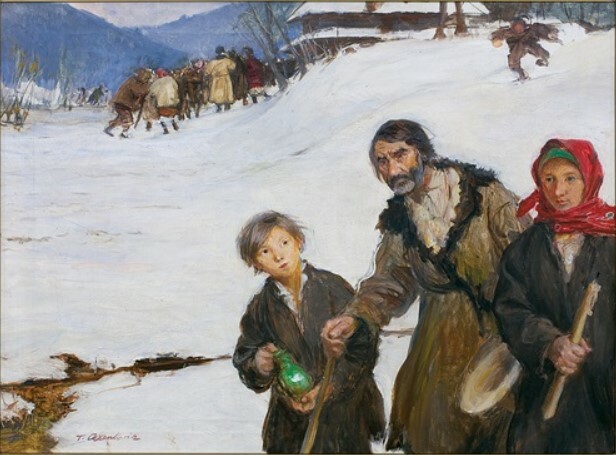 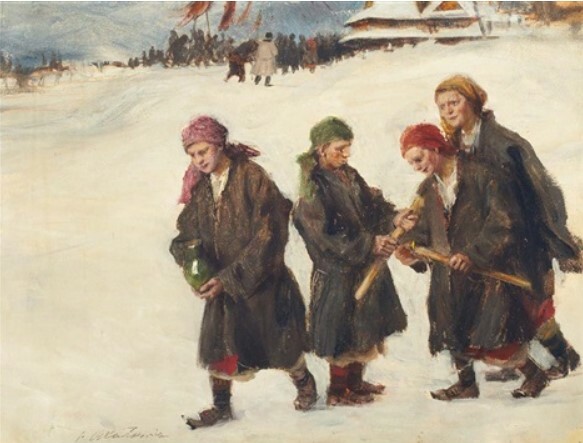 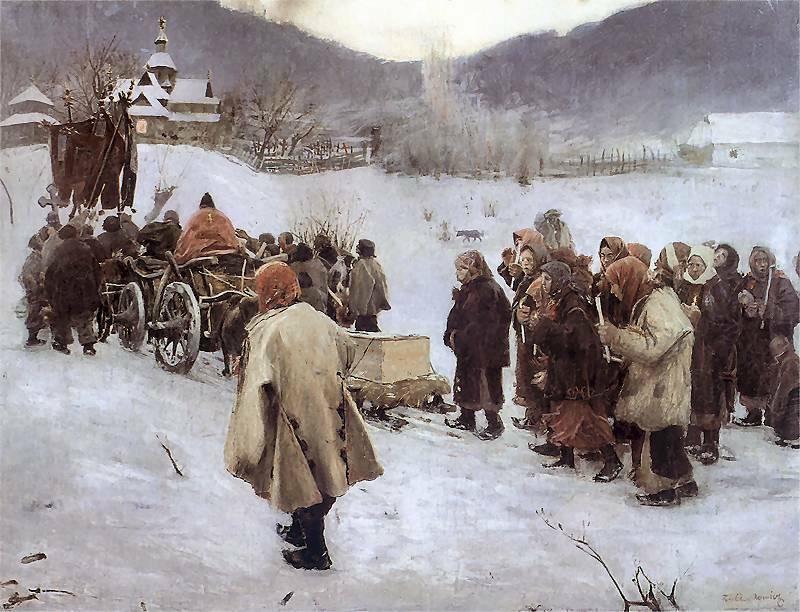 Teodor Axentowicz is famous for his depiction of Hutsul life. 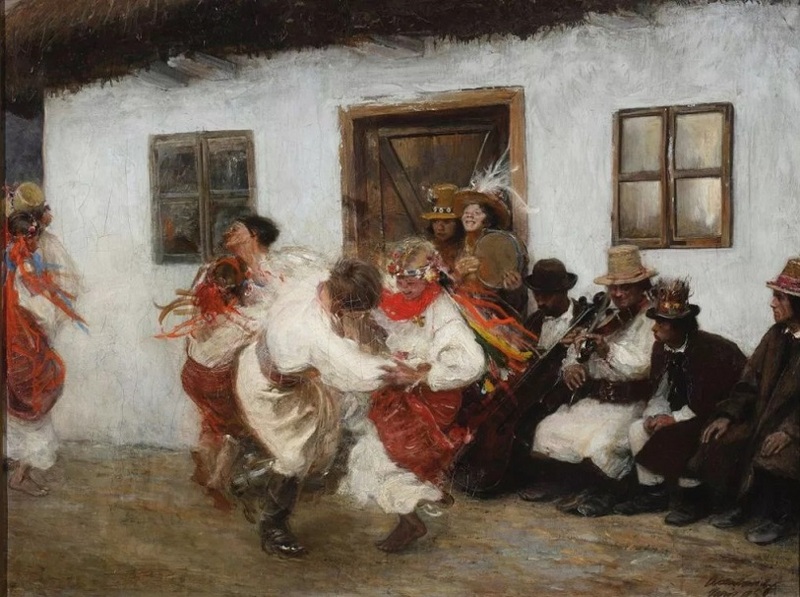 His keen interest in the folk life of the Carpathian Mountains began after his first visit to the Hutsul region at the end of his studies in Munich. 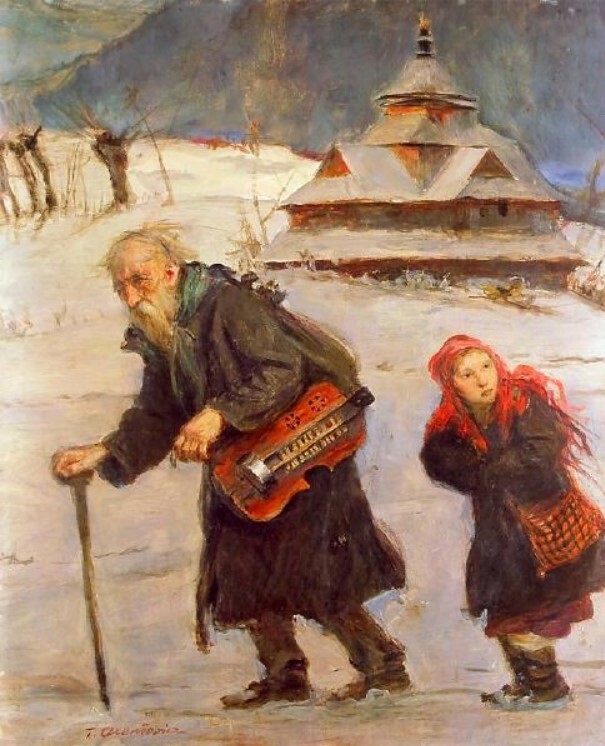 Based on his sketches from the region, Axentowicz developed folk themes during his time at the Paris studio and continued to return to the subject throughout his career. 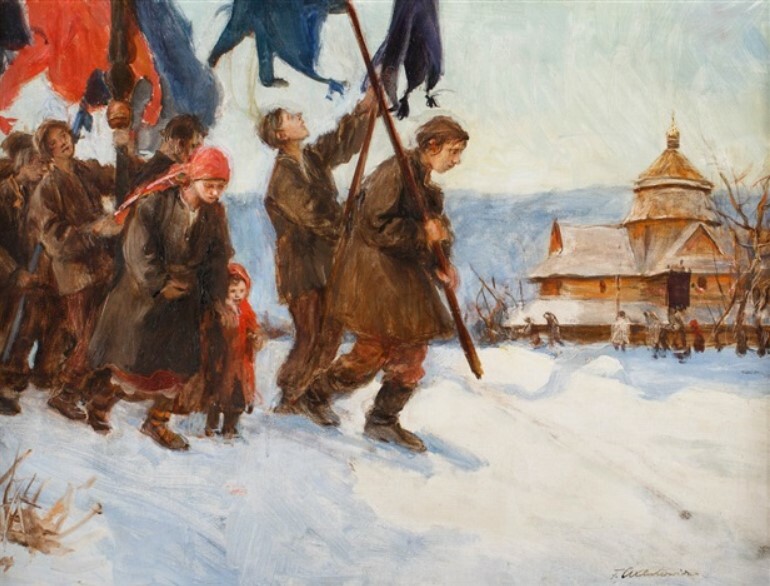 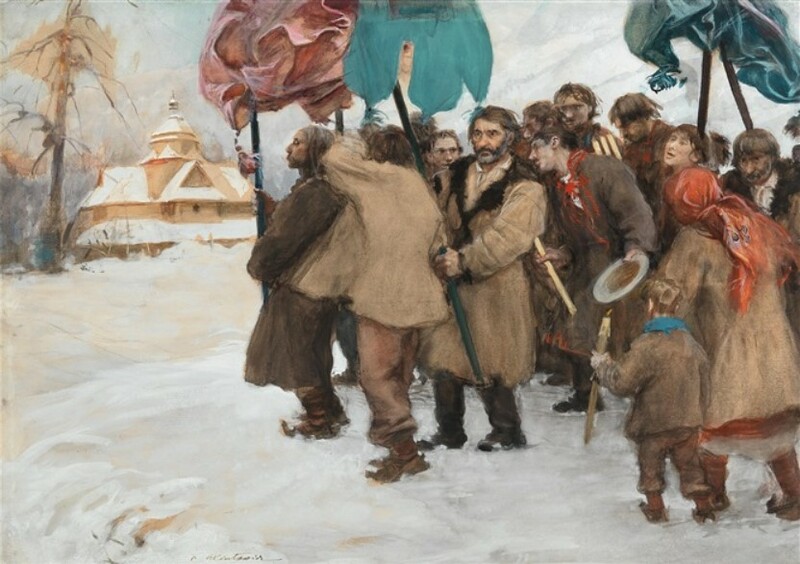 Axentowicz was especially fascinated with the picturesque rituals and strict customs of the Hutsuls. 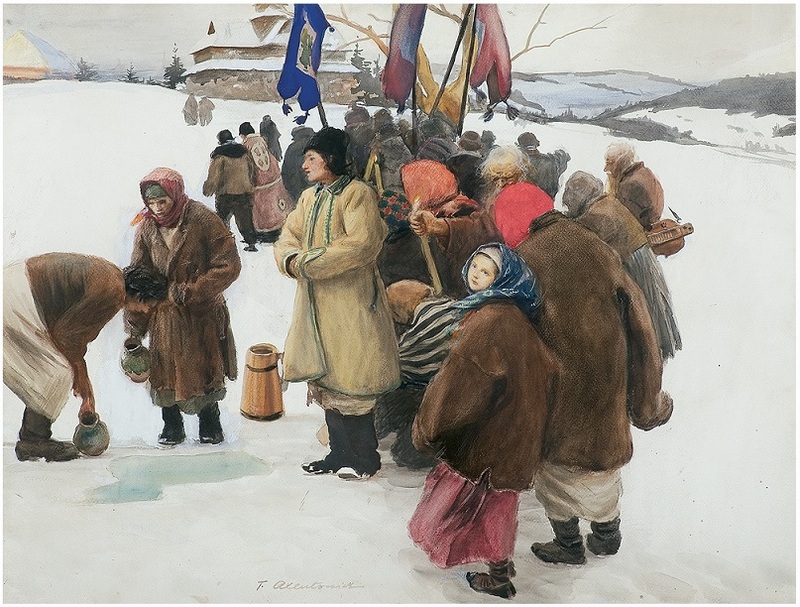 The colorfulness of folk costumes, along with the sublime mood of religious rituals, was reflected in the recurring and modified themes of his work. 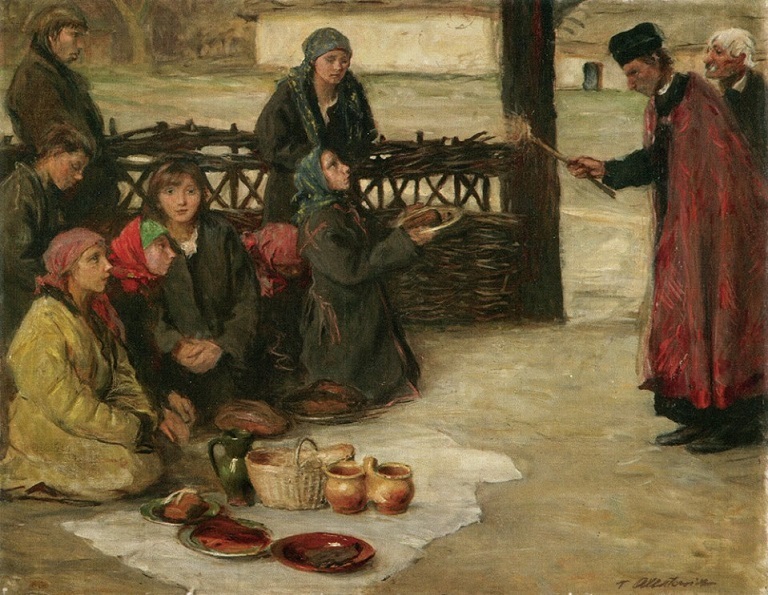 Teodor Axentowicz, Święcenie (Blessing) (c. 1899), oil on cardboard, dimensions and location not known. 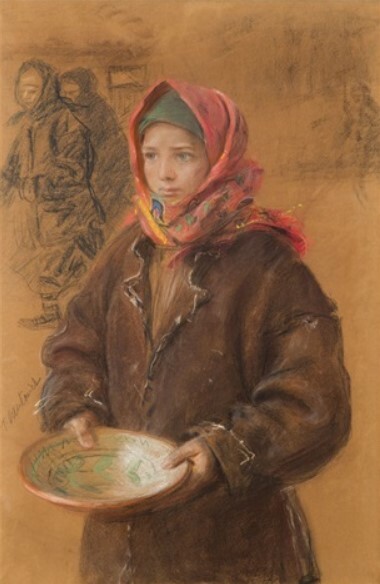 Image by Ablakok, via Wikimedia Commons.